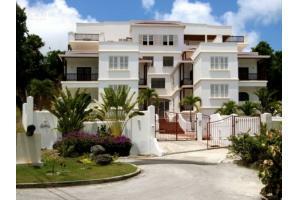 3 Bedroom: Located on the 1st floor of this small gated development, Ashanti No. 3 is a 3 bedroom 3 bathroom apartment situated just a stones throw away from the popular Mullins area. Offering air-conditioned bedrooms, cable television, wi-fi, 6-seater dining area, and equipped kitchen, this unit is an ideal option for the perfect family vacation. The ensuite Master Bedroom, outfitted with queen size bed, offers access to a small patio which looks out to coast and sea beyond. Bedrooms 2 and 3 are both outfitted with double beds and provide the option of air-conditioning or ceiling fans. Bedroom 2 offers bathroom access while Bedroom 3 provides an ensuite bathroom. Ashanti offers a communal swimming pool, is within close proximity to Mullins Beach and all of the amenities of Speightstown which include restaurants, banking facilities and supermarkets. 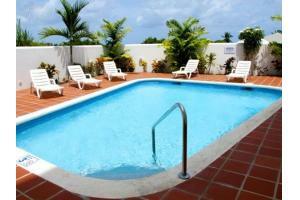 1 Bedroom: Located on the 1st floor of this small gated development, Ashanti No. 5 is a 1 bedroom 1 ½ bathroom apartment situated just a stones through from the popular Mullins area. Offering an air-conditioned bedroom, cable television, 4-seater dining area, and equipped kitchen, this unit is an ideal option for small groups of 2. Housekeeping provided 2 days per week.